I’ll just start by saying that because I have a feeling that most people are not going to like what I tell you in this post. 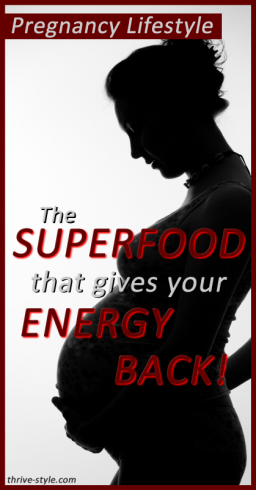 There really is a food that will boost your energy tremendously during pregnancy (and do it in a totally healthy, safe, and natural way). I’ll tell you my story and experience with it at the end of this post. I did some research on this because I couldn’t believe how well it worked for me–and I didn’t even do it on purpose the first time, but after I felt SO amazing one morning, my Mom suggested maybe it was the liver I ate for dinner the night before. I tested the theory with both control and experimental days, and I realized she was right. Then I asked two of my pregnant friends to try it too, and they both had the same experience with increased energy. 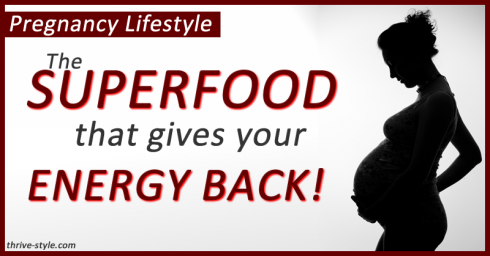 Why does liver naturally help boost your energy? 2. Liver is toxic to pregnant women because of the retinol (vitamin A) content. Not true. Doctors may still tell you this, but they’re wrong. It IS true that if you supplement with vitamin A, it can cause birth defects, but not from eating reasonable amounts of liver (Check out this study — “Based on the formation of all-trans-retinoic acid, liver and supplements are not of equivalent teratogenic potential. Advice to pregnant women on the consumption of liver based on the reported teratogenicity of vitamin A supplements should be reconsidered”). 2. Liver is high in cholesterol and saturated fat. Actually, this is a bit true, but what we know now about saturated fat and cholesterol is that they do not damage our health. Read more about that here. 3. It tastes terrible and has a repulsive gag-worthy texture. Ok, this one is a matter of opinion. The bottom line is that if you don’t like the taste, you need to figure out ways to eat it with the taste and texture disguised (cooked, ground, and mixed with ketchup-worcestershire-hot-sauce are how I like it best—can’t taste it a bit!). That leads me to another important aspect of this topic. What is enough liver to eat to get an energy boost and how can I eat it without hating it? You may have to experiment a bit to find your best serving size of liver. I find that if I eat 3-4 ounces a couple times a week, or if I eat 2 ounces 4 days a week (or 1 ounce everyday), I have a significantly higher amount of energy. If I skip a few days, or eat less than the 6-8 ounces per week, my energy goes back down the tubes. Chris Kresser recommends that pregnant women eat 3-4 ounces a week and Mark Sisson not only says eating liver is safe but he says up to 8 ounces per week is perfectly healthy. If you’ve never eaten liver, start with a small amount and work up to 4 ounces! (or just use some of the techniques I’m going to tell you about, and consume it in smaller amounts each day). I find it’s easiest for me to be consistent with liver if I cook one pound at a time (I get it frozen in one-pound packages so I thaw it out and cook it in that amount). Before I cook it, I soak it in milk for several hours (this removes some of the liver flavor). Then, I cook it in butter in the frying pan (3 minutes on each side). I cool it, refrigerate it over night, and then pulse it in the food processor until it is crumbly. After that, I measure out one-ounce portions and wrap them individually so I can freeze them and use one a day. This may sound like a lot of work… and I guess it is, but once you feel the energy benefits of eating the liver, it’ll feel worth it! If you enjoy the taste of liver, you can just cook it and eat it (I don’t recommend eating it raw during pregnancy). If you don’t like it–find ways to hide it or not taste it! How Can You Eat Liver Without Barfing? 1. Add it to meatballs. 2. Use a recipe (although, I’ll admit that if you hate the taste, you may need to disguise it more than most recipes do). 3. Cook it, grind it in the food processor, and add it to highly flavorful foods (like I mentioned above, I mix it with ketchup, hot sauce, and worcestershire sauce). Before I was pregnant, I did this video about how I was consuming liver without tasting it–you can do this with cooked liver too. It’s pretty much the same method I use with the hot sauce liver combo (I chase it with water). Final Note: Please buy organic livers from grass fed animals. Check out this source to buy it online if you can’t get it locally. My Story: I am 25 weeks pregnant at the time I’m writing this post. I have had a pretty typical pregnancy with extreme fatigue and feeling really gross during the first trimester. I often went to bed at 7pm, and I found that even though I tried to eat healthy foods, I could only function if I ate way more carbs than I’m used to. Toast, pasta, tortilla chips… all helped me not crash and burn during the day. Luckily, I work at home, so I could nap when I needed to and turn into a ball of useless mush on the couch (I watched the entire Felicity tv series… and liked it). After about 16 weeks, I felt much better, and had a bit more energy (I could stay up till 8:30! ), but I still felt really rundown most of the time. I had made a batch of liver meatballs (no, that’s a lie, my mom made them for me), and I ate them for lunch sometimes but I stopped being consistent. Around 23 weeks, I decided to give liver another try because I have 8 pounds of it in my freezer. I know it’s very good for me, and I want to make sure I’m eating enough nutrients while I’m pregnant. I gathered up all the recipes I could find from my trusted friends, and I gave them a try. The first night, we had liver and onions. Neither of us loved it, but we ate it anyway (ketchup helped). The next morning, my husband’s persistent neck pain was gone–he woke up saying, “This is the first morning in a very long time that my neck doesn’t hurt!” I got out of bed, made breakfast, and we chatted for a while about our days and so on. Normally, when he left for work, I would feel like I was moving through glue. I’d try and talk myself into doing my work, and be a slug on the couch until I could conjure up some energy. It often felt like it took tons of effort just to breathe… but on this day, I got right up, cleaned up a bit, and got to work. I felt focused and alert. My mom called after a couple hours, and we chatted about how great I felt… she asked me how the liver had turned out the night before, and then she suggested maybe the reason Dave and I feel so good is because of the nutrients in the liver. Over the next couple weeks, I’ve experimented with different ways to get liver into my diet (painlessly), and when I take note of how I feel (and how Dave feels) I can honestly say that when we’re consistent with our liver intake, I have significantly more energy and feel better overall. My advice to you is to take this information, and the resources I linked to, to your doctor and ask him or her about it. If your doctor dismisses liver as unsafe or unhealthy, then I don’t know what to tell you except to find a doctor that will discuss it more thoroughly with you. Of course, I don’t know what your current health state is or what your special nutritional needs are, so just take the information I provided you as one piece of your potential diet-puzzle—find a doctor you can trust and plan the best strategy for you. Good for you. You are a brave mama. How much do you need to consume in a day? Pregnant and non-pregnant. My daughter and dil are having babies these days. My daughter will take liver but not my dil. Myself, I could probably do the covering up with something strong to get it down. But I think I prefer cooked to raw. I think raw is better though. Laurie, That’s a great question! A total of up to 8oz a week is recommended (for everyone, not just pregnant women), so this can be divided up into two or more days. I initially had about 3oz at once and felt awesome… so then I thought if I did about 1oz a day, then I could possibly get a good even dose of energy everyday. It turns out that I don’t detect as much of an energy boost when I eat 1oz at a time (but I think it still helps overall), and I get the best energy boost when I do about 3oz. So, really it’s kind of a trial and error thing. After a couple weeks of being consistent with eating between 6-8oz a week, I noticed a better energy level in general (regardless of how I divided it between days). I also think raw is probably better nutrient-wise, but at the same time, preggo people should probably be more careful about eating raw animal products since our immune systems are compromised (especially in the third trimester). When I wasn’t pregnant, I ate it raw, but now I’m just doing cooked! I have read about the benefits of liver and such during pregnancy before, I,m 4 weeks pregnant and would like to try it. My problem is that we’re currently stationed overseas in Korea. The only liver on base is definitely NOT organic, as most stuff we can get here, and I can’t read Korean so have no idea if I could get it off base and if that would even be affordable. Do you think it would be better to eat what I can find here, or wait till we get back to the states( I’ll be about 4 or 5 months by then)? Also, you mentioned there was an online option, but it wasn’t linked. Is it canned or anything we could get mailed here, or would it spoil by then? Thanks so much. I probably wouldn’t eat the non-organic liver, but some people do think that’s ok in a pinch. It’ll definitely still be helpful to start later on when you can get an organic grass fed source. Until then, you could try and order dessicated liver pills. It sounds gross, but it’s really just the liver dried out and pressed into pills. It’s not the best format, but I’d say it takes second place after the grass fed organic intact livers. I have bought it on amazon before, but they don’t have the brand I bought anymore. Just check for one that comes from a great quality source if you do that! I forgot to add the link to the post—but this is my fave source: http://www.grassfedtraditions.com/grass_fed_beef.htm I’ve bought from other online sources that I don’t want to name, and I found the liver to be really uneven in color and had a lot of connective tissue included that I had to trim off (it was really gross). I also had it show up once where the freezer packs in it had totally thawed (so did some of the liver) and it leaked blood all over the place and through the box. I can’t imagine what the delivery guy thought when he left it on my doorstep! Grassfed Traditions probably won’t ship all the way to you, but you could check it out later. Good luck! I am 14 weeks and I like the idea of trying it but I am still in the phase of food being gross most of the time. If I could get someone else to make it for me I would try it no problem. Yes, at that phase… liver would definitely be hard to take! I didn’t do it until like 18 weeks (and even then it’s still kinda gross to handle!). My mom visited around 13 weeks, and she made me liver/beef meatballs at that time. I had no problem eating the meatballs, but there’s no way I could have prepared them! Canned salmon is a good choice for a tasty and nutritious meal. Canned salmon provides you with healthy minerals instead of fat and carbohydrates. Change up what you eat every day so you’re able to enjoy your diet. Previous post: Oil Pulling plus Bonus Natural Teeth Whitening with Activated Charcoal!